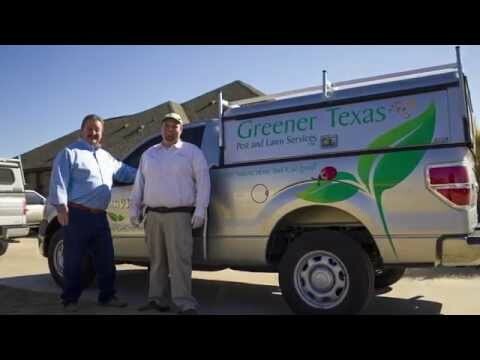 There is nothing Greener Texas likes more than happy satisfied customers. Our employees are trained to listen to the issues our customers are experiencing and completely surveying the area for current problems and potential problems. We are proud to deliver top-notch residential pest control as well as commercial pest control and organic lawn services. “We had Greener Texas, specifically David come to my mothers home today and to help her out while she was out, I stayed for his visit and explained what we have going on. Basically, she lives next to a green belt and its a great place for ants, scorpions, spiders and all those lovely pests to build their nests, lay their eggs and eat and destroy whatever they can. David was very thorough with everything, he spent a good amount of time listening to the issues she was having with pests, he took a look around, found the issue and explained in great detail what was going on and how to resolve the bug issue with their services. After a fairly good amount of time, over an hour and a half, he had gone in the attic and sprayed, the inside of the house in all the rooms, the perimeter of the outside of the home, the trees near the home, the deck, the doors, the gables of the home, under the gutters, you name it, it was sprayed. After he was done, he went over everything and stressed that to maintain a safe home, that is, no intrusion of wood eating ants like we had, its important to spray every three months. In the event that in a few weeks the ants are back or other bugs, they will honor their guarantee and spray again, no charge.” -Lorriane W. Read more of the review here…. If you have used our services before and are happy with the results, please review us on our Google+ page or on Yelp if you are an active Yelp user.